Let's Talk about House Points! Split your school into teams, then use this magical app to track team points in real-time. Start awarding student points and the race is on! Click to Watch a Recorded Webinar about the House Points solution! Camaraderie. Teamwork. And yes, competition! House Points is a classic approach to a thriving school culture. For some, Harry Potter is the first time we learned about a House Points system. But the tradition actually goes back much further, to some of England’s oldest private schools! Let's back up. What exactly is House Points? Me split kids into teams. Team with most points win. Oh, it sounds so simple! Sadly, too many schools launch and then abandon a House Points system. Consider this: if calculating and updating House Points amounts takes just 10 minutes per day, you’ll find yourself spending nearly an hour per week to run your system. That’s a full 40-hour work-week per school year of time spent updating your points! A full week you don’t have to motivate, instruct, or just hang out with your students. 1. Split students into Houses. Team can include students from different grade teams. The more diverse, the better! Give each team a fun name. Or, for extra engagement, let the teams create their own names! Include which student earned the point, what time it was earned, and how the student earned the point. With these three components – House organization, points tracking, and celebration - you can create a thriving House Points system. LiveSchool is the leading designer and developer of apps for schools. We turned our skills to designing the perfect House Points app. Here’s how it works. Create a roster for each of your Houses in LiveSchool, then activate them as Houses here. Select your students and add them to a LiveSchool roster. Set your roster as an official House in the app. Done! Step 2: Display the Dashboard! 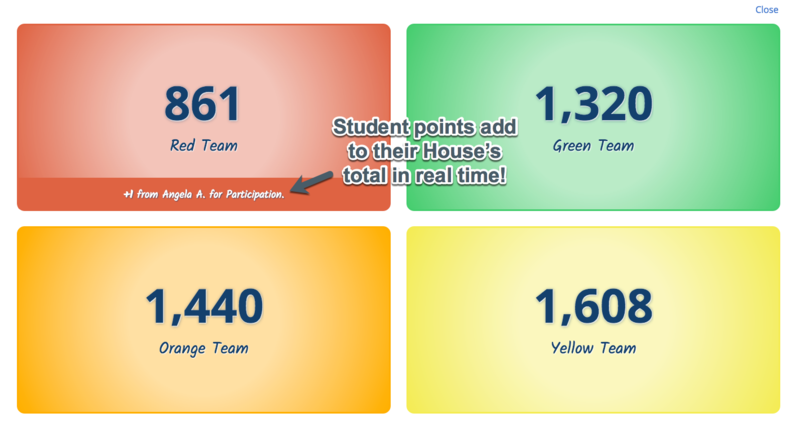 That’s right, LiveSchool’s House Points app includes a real-time dashboard ready-made for your projector or hallway TV! 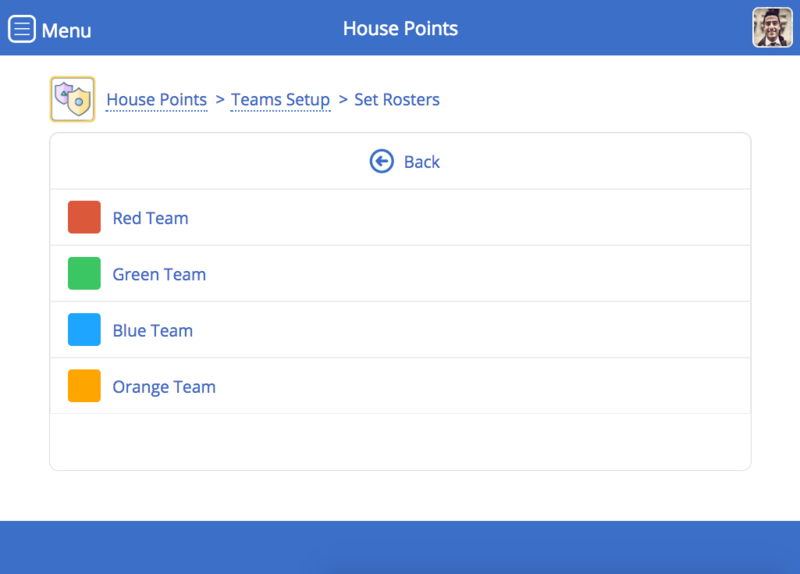 Students will be able to see points totals update in real-time, so they can truly make the connection between their choices and the success of their House. Show this real-time game dashboard on your projector or hallway TVs! Awarding points to students is simple with LiveSchool. You can track points from any device. Select multiple students – or the whole class – with a click. Even the tracking categories are customizable, so you’ll generate specific data on the positive expectations your students are meeting! 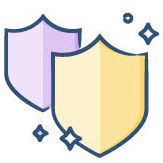 House Points is included with your LiveSchool subscription. Want to use House Points without a full subscription? We have affordable options available! Get in touch using the button below and we'll have your team up and running in no time!